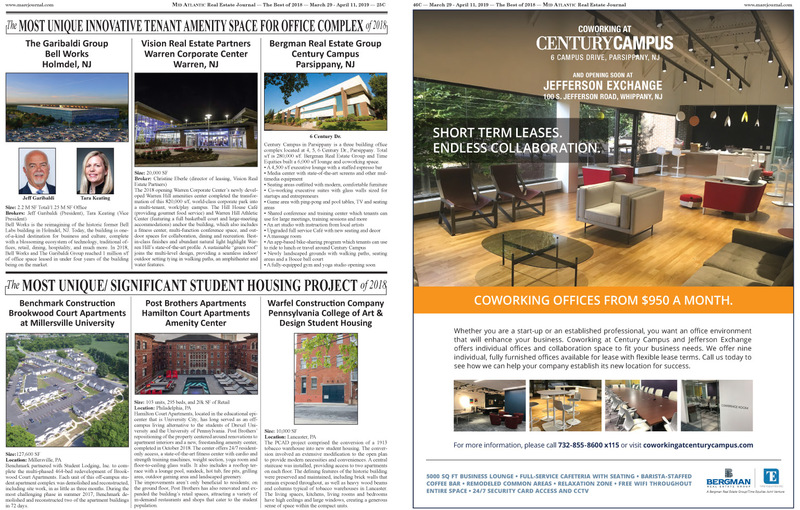 Century Campus in Parsippany, NJ wins the Mid Atlantic Real Estate Journal Best of 2018 in The Most Unique Innovative Tenant Amenity Space for Office Complex category. Bergman Real Estate Group celebrates 30 Years in Business with a tribute to their founding father, Jerry Bergman. Bergman Real Estate Group Announces New Cafe, Lounge, Conference Room at 1099 Wall Street West in Lyndhurst, N.J.